Although there are several gorgeous possibilities available in the real estate market of Budapest we offer something different. Provincial tranquillity prevails the Budapest Gate Country Golf Club, whilst reaching the downtown of Budapest, a city of two million residents, takes only half an hour drive on the Highway M1. New suburban railway facilitates getting easily and fast into the heart of the capital. Residents of Budapest Gate will live in a peaceful, magnificent natural environment at the highest living standard with the services and facilities offered by the capital near at hand. The master plan of the complex has been worked out by a Hungarian and Irish consortium of developers who are in a prestigious position in the real estate development of Budapest and are actively involved in a number of projects in the region. The Hungarian partner is responsible for the Andrassy Palace and also for the Five Star Le Meridien. These luxury villas - rated as curiosity on the real estate market of Budapest - offer stylish living in a natural environment. Residents will enjoy complete privacy in the grounds of their sumptuous villas, with extensive landscaped gardens and magnificent views of the prestigious signature golf course. 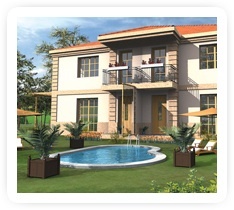 The villas offer classic ambiance with contemporary design creating an atmosphere of unique exclusivity. All the villas stand in their own grounds with magnificent views of the golf course. 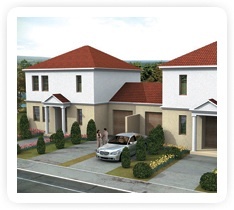 Plot sizes vary between 900 and 1100 sqm. The high quality design of these villas will be completed by reputable architects at the developer's cost to meet the most luxurious and demanding requirements. The interior of every property will offer unsurpassed standards of quality. Every villa will have a private swimming pool or whirlpool. The apartments have been specifically designed to compliment the surrounding natural landscape while providing the highest standards of accommodation. 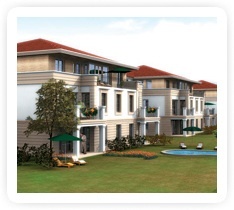 All apartments will have magnificent views of either the championship golf course or the lake. The apartments are located in two and three story clusters, each having its own security system, pleasant terraces, lift access to each floor and car parking facilities. The apartments include one, two and three bedroom properties with configurations to suit everyone's individual requirements. The interiors of the apartments are designed to ensure both a high level of comfort and functionality. 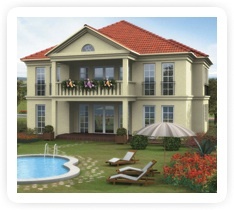 This type of town-styled house will be located mainly at the lake area with beautiful views of the lake. Every house has its own private garden. A starhouse is named after its specific shape. The apartments of the Starhouse offer a unique opportunity for those who like special solutions. The creatively designed four-apartment housing estates contain two-story homes with terrace on the ground floor and with balcony and huge windows on the first floor to enable residents to enjoy the magnificent landscape of Bicske even from an armchair.